We’ll All Be Moochers Someday. Yay! Will Moocherpalooza have an impact on the presidential campaign? It might. Mitt Romney, Paul Ryan and their allies have been decrying the “entitlement society” and supposedly low number of Americans paying federal taxes for some time now. But the specific language and circumstances of Romney’s comments at a May fundraiser, first reported in Mother Jones on Monday, may capture the attention of average Americans in a way those previous speeches and writings did not. 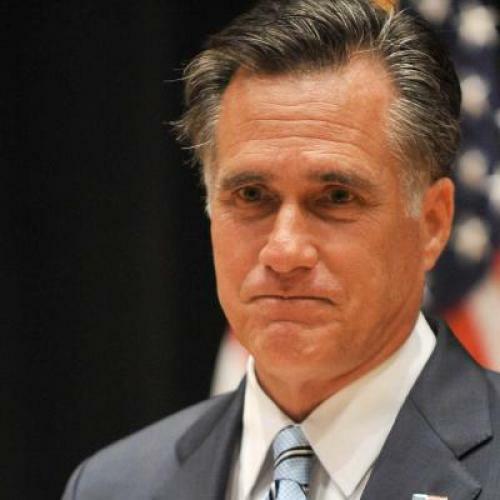 The episode may also undermine Romney’s support among members of a Republican elite that was already wary of him. Politically speaking, the most significant op-ed on Tuesday wasn’t the even-keeled critique of Romney by David Brooks, a conservative who cares about ideas. It was the more caustic and, apparently, more exasperated blast from Bill Kristol, a conservative who cares about winning elections. That’s going to resonate with the surrogates, strategists, and financiers whose support Romney desperately needs to remain competitive. But, in the long run, whether this episode affects perceptions of Romney may matter less than whether it affects perceptions of government. What is monumentally new about the American state today is the vast and colossal empire of entitlement payments that it protects, manages, and finances. Within living memory, the government of the United States has become an entitlements machine. As a day-to-day operation, the U.S. government devotes more attention and resources to the public transfers of money, goods, and services to individual citizens than to any other objective: and for the federal government, these amounts outpace those spent for all other ends combined. Mark Schmitt, a regular contributor to TNR and senior fellow at the Roosevelt Institute, wrote an elegant critique of Eberstadt’s argument. So did Lane Kenworthy, a sociologist at the University of Arizona. As they note, Eberstadt is correct when he says that the entitlement state has expanded significantly in the last 50 years. But that increase reflects two factors more than anything else: Health care and old people. (Relatively speaking, the cost of low income programs outside of health care is actually declining.) In 1965, with the enactment of Medicare and Medicaid, the federal government assumed responsibility for financing medical care for the elderly, as well as the poor and disabled. It also boosted Social Security payments to provide more of the elderly with adequate incomes. The aging of the population and rising cost of medical care have made these propositions significantly more expensive over time. Are the people who benefit from these programs today takers rather than makers? Hardly. Most of these people contributed what they could towards he cost of these programs, via payroll taxes, during their working years. If they don’t contribute now—and, remember, the majority of them still contribute something, since Medicare has both cost-sharing and premiums—it’s because they are no longer capable of doing so. They’re too old or disabled to work, and their fixed incomes leave them relatively poor. As Jared Bernstein of the Center on Budget and Policy Priorities reminded me recently, median income for Medicare and Social Security beneficiaries is about $25,000. The growth of these programs has placed significant new demands on the federal budget. That’s why there should be, and has been, a vibrant debate about how to make the programs sustainable, whether by reducing the money they send out or increasing the money they take in. The growth of other, more narrowly tailored programs (like welfare) has also contributed to the fiscal strain, although far less significantly. That’s why there should be, and has been, an equally vibrant debate about who is eligible for these particular programs and under what conditions they should get them. More nuanced conservatives, among them Brooks, Ross Douthat, and Ramesh Ponnuru, have been part of these discussions for some time. That’s really the point I hope people take away from this episode, if not in the next few weeks that preceed the election than in the months and years that follow. If the polls are right, the voters today are pretty skeptical of government, at least relative to what they were up through the 1960s. But the voters also believe government should make sure the elderly and poor have health care. They believe government should provide pensions through Social Security. They even believe government should guarantee that everybody has food and shelter, as the Washington Post’s Suzy Khimm pointed out on Tuesday. With any luck, Romney’s controversial comments will get people to think about these contradictions—and to realize that they like government a lot more than they seem to realize. Update: For more along these themes, see David Dayen and Greg Sargent, who note that Romney was essentially challenging the "very ideas of the social contract."